Buttons and keys, your days are numbered. These things go in cycles. Apple introduces a new, groundbreaking product, with a bunch of features that annoyingly break compatibility and ruin workflows and subvert the norms of the product category. Then comes adaptation–sometimes from Apple, always from users–and, eventually, a new equilibrium. Then Apple introduces another product that upsets the applecart and it starts again. I’ve been covering Apple long enough to see this happen time and again. So with the excitement and anguish around the new MacBook Pros fresh in my mind, I wondered–what happens next? What’s Apple’s next move with the Mac? How does the Mac evolve in the next five years, if there’s any evolution left to be done? Apple has some specific beliefs about what separates the Mac from iOS, which is why I think it’s highly unlikely that the Mac will ever transmogrify into an iPad. Apple already makes a touch-based operating system, and the Mac’s existence is defined by contrast to iOS. 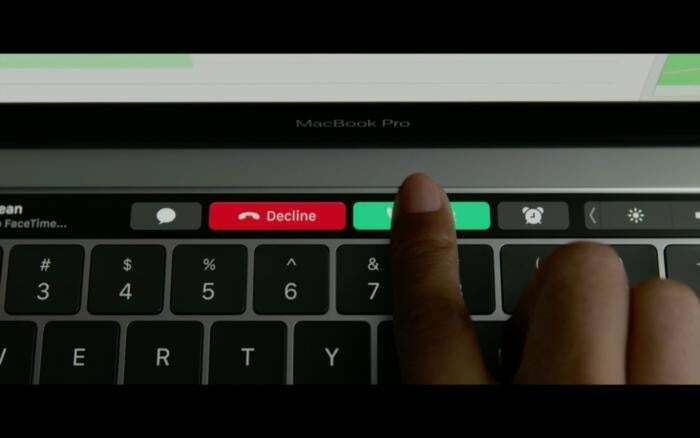 But that doesn’t mean that Apple might not make the Mac a bit weirder than it is today, especially given the introduction of the Touch Bar on the MacBook Pro. Apple’s designers generally see ports and buttons as ugly things to be removed when at all possible. The iPhone’s headphone jack and physical home button are the two most high-profile casualties. But the Touch Bar points the way to a new front in Apple’s fight for simplicity in hardware: the replacing of a row of physical keys with a touchscreen keyboard. Back in 2007 when the iPhone was introduced, Apple extolled the virtues of virtual keyboards over physical ones. Once your keyboard is a touch surface with a screen, it’s far more flexible than a series of physical keys ever could be. Apple was proven right, at least when it comes to the phone. Would the same hold true for a Mac? I can’t imagine a future Mac laptop with an iPad where the keyboard should be, but with a few additional bits of technology, it seems a lot less wild an idea. As someone who enjoys typing on a physical keyboard, I’m vaguely nauseated by the idea of a keyboard that’s just a sheet of glass–but the travel on the MacBook Pro keyboard is so small already, would it be that different to remove it altogether? Especially if Apple replaced the key travel with a different form of physical feedback, such as vibrations from a Taptic Engine. Funny thing about touchscreens–when you touch them, they react. That’s as it should be, but keyboards are not screens. When we use our computers, we spend most of our time with our eyes up on the screen, only glancing down occasionally to the control surface. You can’t operate a touch-screen keyboard by feel, because the act of feeling it causes it to react. Unless you built in pressure sensitivity that would allow that surface to react differently to hard typing taps. Again, it’s a bit of a leap, but Apple already has pressure-sensitive technology in the iPhone’s 3D Touch and in the Mac’s Force Touch Trackpad. If Apple could build a surface that would let you run your fingers over it until you received physical feedback that your fingers were in the proper typing orientation, it could work. This surface would also function as your trackpad, of course. 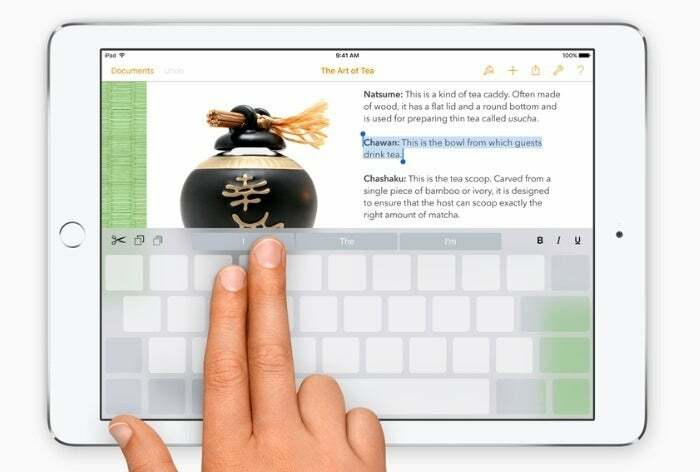 There would probably be a dedicated trackpad space at the bottom of the screen, but you might be able to move the cursor with a two-finger gesture even over the virtual keyboard, as you can on the iPad today. Losing physical keys would still be a step backward, but added flexibility could offer a whole lot of compensation. Now your keyboard could appear and disappear contextually, with the control surface space being available for other controls for apps that don’t require a lot of text input, including media tools. A multi-touch surface could even let you control different functions with each hand, or with one hand and an Apple Pencil. You’ll be able to dock that little laptop to a huge screen, as you can today. And if you’re not using a Mac laptop, I’d assume that Apple would sell an iPad-like control surface–or maybe it’s just an app that runs on a future iPad Pro!–that you could use as a keyboard and trackpad in front of any Mac. I know it sounds weird. And it might not come true. But it sure feels like the direction Apple is going today. Convergence and weirdness works both ways. At the time Apple offers a Mac like the one I described above, I wouldn’t be surprised if there are iOS-based “desktops,” with very large touchscreens, intended to be used on tables or desks. As iOS advances as a productivity platform, Apple will need to introduce better multitasking, app management, drag-and-drop, automation, file system access, and more. 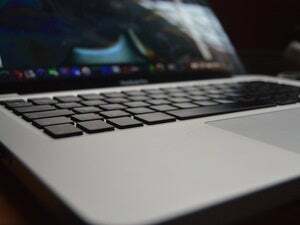 Which is my way of saying, though the Mac will continue to evolve in the future, it may finally become irrelevant only when the iPad is capable of doing all the work people currently use their Macs for. And on that front, iOS still has a long way yet to go.